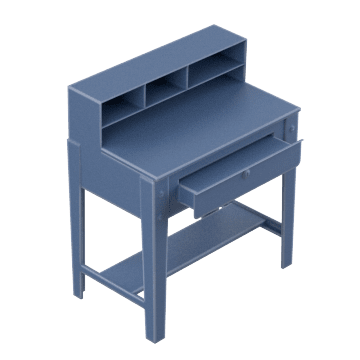 Made from materials that can stand up to rugged shop environments, these desks give employees space to work and have built-in storage areas for supplies. Provide a clear working surface to complete tasks and storage areas for supplies. 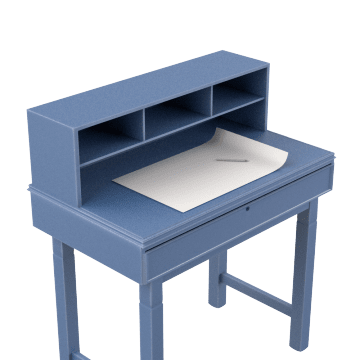 Taller than normal desks, these stationary shop desks are designed for standing or use with a stool. 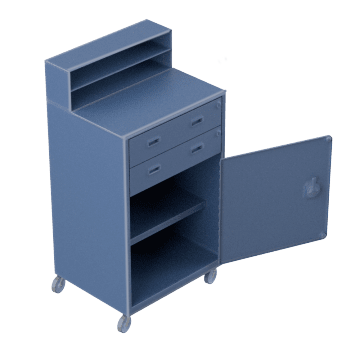 Easily move these desks with casters to different work areas.